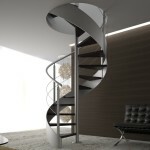 Round-based iron spiral stair with steel structure. Structure painted with micaceous iron glaze, RAL 609.0400 finish, light grey. Monolithic central pole with no spacing cylinders between the steps. External strip with no visible screws. Tread fixed to the structures with soldered steel wings and no visible screws. 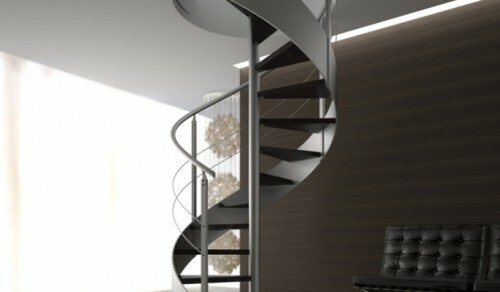 Evaporated beech solid wood tread , charcoal finish. 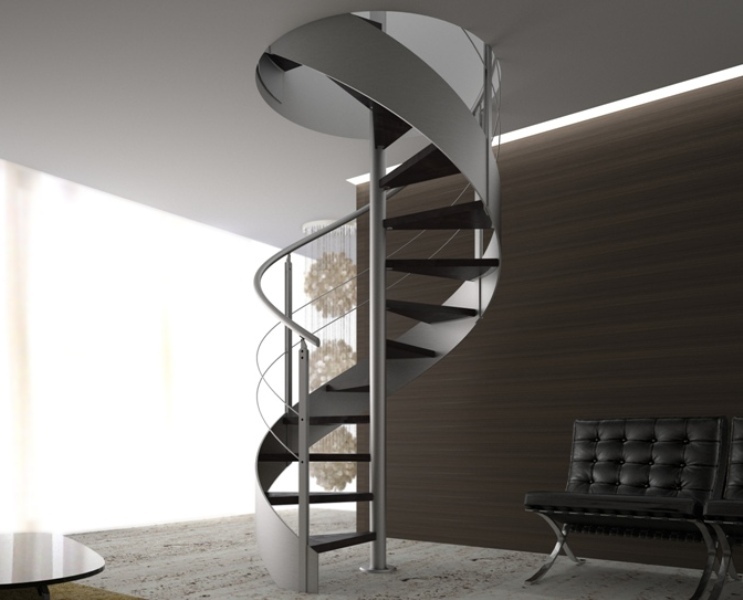 AIR3C banister: 2 satin-finish stainless steel rails, steel handrail, spindles with steel double plate.